The Honorable Andrew M. Cuomo, Governor of New York State, will be Food Bank For New York City's special guest speaker at the 13th Annual Can Do Awards Dinner, presented by Bank of America, on Tuesday, April 21st at Cipriani Wall Street. 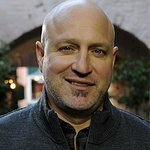 Food Bank For New York City — the city’s major hunger-relief organization working to end food poverty throughout the five boroughs — will honor its partners in the fight against hunger — Tom Colicchio and Lori Silverbush, Stavros Niarchos Foundation and Sandra Lee-Simply Living Publishing. Mario Batali and Susan Cahn, long-time Food Bank supporters and the 2013 Can Do Award honorees, serve as this year’s Honorary Chairs. Emcees for the evening are ABC’s “The Chew” Co-hosts, Mario Batali, Carla Hall and Daphne Oz. Nashville’s Grammy Award-winning country music group, Little Big Town will be the special musical guest, bringing some of their biggest hits to the Can Do Awards. More than 600 guests are expected to fill the room in support of Food Bank For New York City’s fight against hunger. The evening unites an extraordinary array of people including musicians, artists, actors, culinary greats and other caring New Yorkers in the fight to end hunger in New York City. The Can Do Awards Dinner is instrumental in helping provide support for the 1.5 million New Yorkers who rely on Food Bank programs and services, including one in five children. New York’s most vulnerable families have lost more than 56 million meals as a result of the November 2013 cuts to SNAP (formerly known as food stamps). Food pantries and soup kitchens have confronted additional need without an adequate supply of food. Can Do celebrates what each of us ‘can do’ to help fight hunger in New York City. Since their inception, the Can Do Awards have raised more than 12 million dollars, helping to provide 60 million meals for New Yorkers in need. Every dollar donated to Food Bank For New York City helps provide five meals. Tables/Tickets can be purchased by calling the Can Do Awards Benefit Office at 212-867-1777, by emailing events@foodbanknyc.org/ or click here.